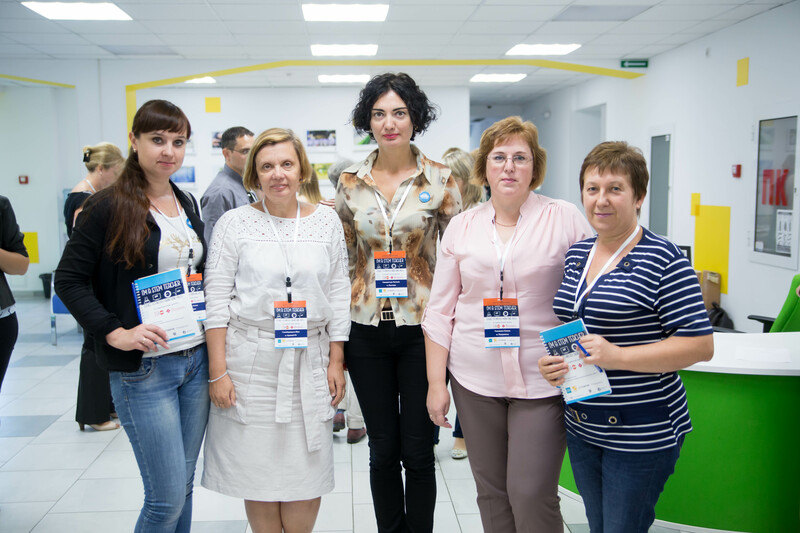 On September 13-15, Dnipro hosted all-Ukrainian Hackathon for teachers: "STEM: gender-sensitive approach to school education", organized by the Center of Corporate Social Responsibility Development and UN Population Fund within the framework of #GirlsSTEM initiative with the support of Interpipe and SoftServe companies. 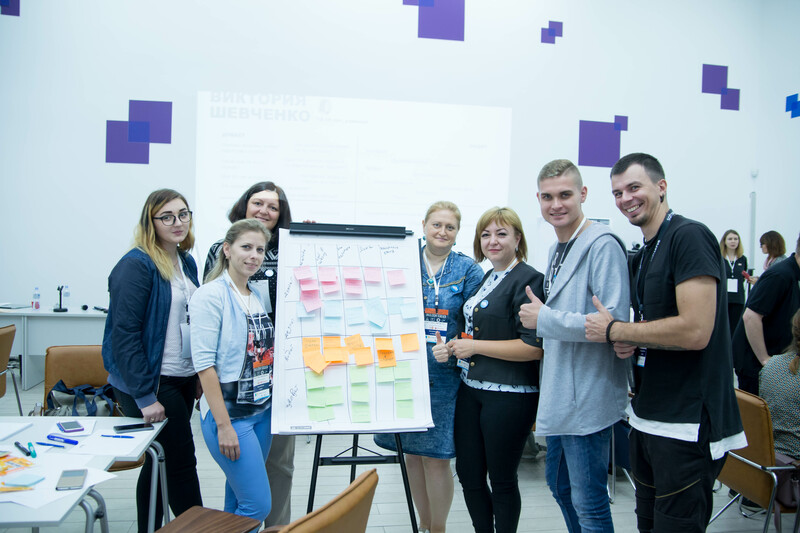 The Hackathon partnered with the State Scientific Facility “Institute for Education Content Modernization”, CIHE "The Dnipro Academy of Continuing Education" and IT.Integrator company. Ivan Ivanov’s New Education Center became the information partner of the campaign. 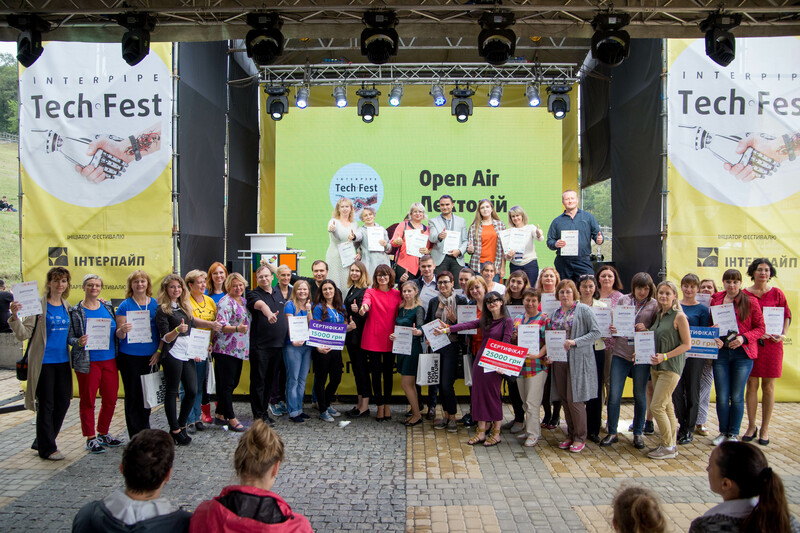 36 teachers from different cities, towns and settlements of Ukraine, selected from among more than 165 candidates, took part in the Hackathon. SoftServe's Design Thinking Session, where teachers learned to identify problems, describe the target audience and generate possible solutions. A workshop from a gender expert Oleg Marushchenko on the topic "School through Gender Perspective", where teachers listened and experienced the peculiarities of the approaches to teaching boys and girls, how to properly combine schoolboys and schoolgirls in teams and the peculiarities of school education. A workshop "A Gender-Sensitive Approach to Learning" by Oleg Marushchenko, in which teachers reviewed examples of gender approaches used in classrooms and textbooks. A workshop on quality, structured and attractive presentations by Roman Kryzhanovskyi, a SoftServe representative. A tour to the robotized Interpipe Steel facility, where guests learned about the processing and production processes in metallurgy, visited the company, talked with its employees and obtained the knowledge that can be used during school lessons. Interpipe TechFest, the key engineering festival of the country, showcased the teachers’ projects on September 15. Presentations of the developed projects are available at the link. After active discussions the jury determined the winning teams which took the 1-st, the 2-nd and the 3-rd place and won UAH 25,000, 15,000 and 10,000 accordingly for the implementation of their projects. The "K.I.D" team, which was the winner, presented a project aimed at supplementing the portraits of the successful scientists with the portraits of female scientists in all STEM areas through posters, cards, portraits and digital data using QR codes about the successful women with the description of their biographies and scientific achievements. The project is aimed to popularize STEM among schoolchildren, inspiring the girls to seek future careers in technical areas. Two teams shared the second place - "Pryamuy za sontsem (Follow the Sun)" and "Hahatonchiki". The expert jury decided to amalgamate the ideas by both teams, as they are targeting the same group – teachers – and supplement each other. The “Follow the Sun” team presented a certification program on gender sensitivity for teachers. The “Hahatonchiki” team is a Wiki-platform for STEM teachers allowing the colleagues to exchange experience. "STEM-labyrinth" team took the third place with their "Maker GO!" project, the resource with real projects of schoolboys and schoolgirls, where children can load workshops, engineering solutions on their own, and record vide to show what they have done. The resource is presented on Facebook page and a Pinterest board and is aimed at the development of technical skills of children.